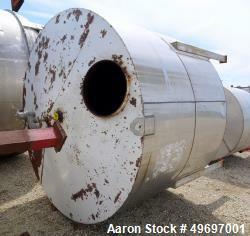 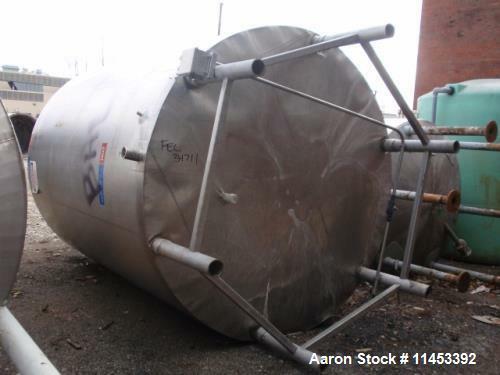 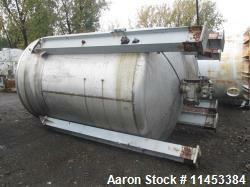 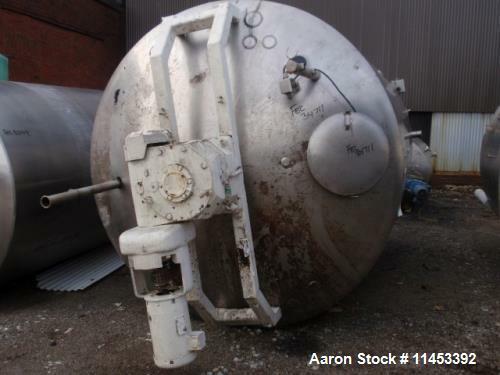 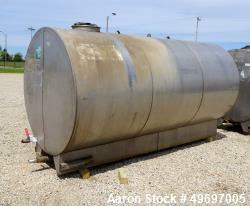 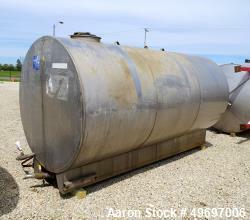 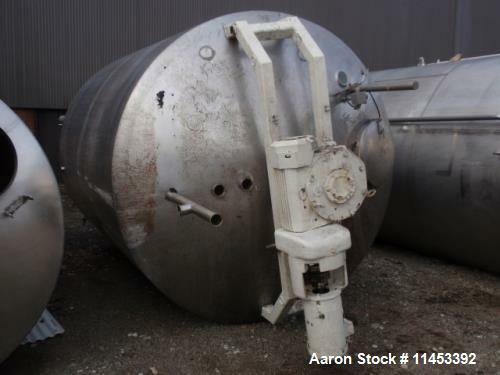 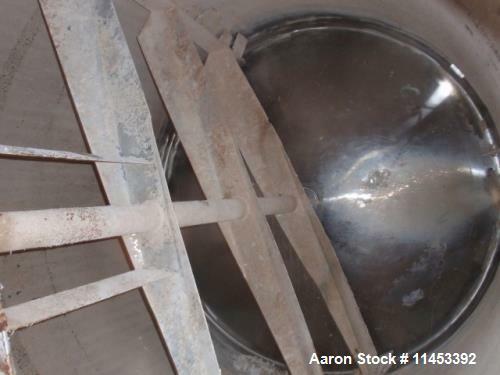 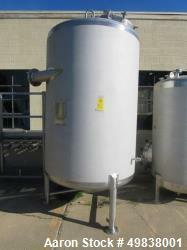 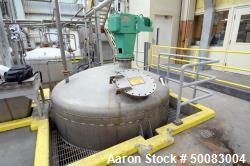 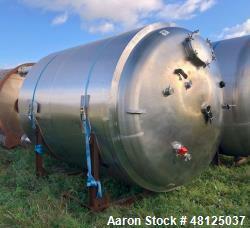 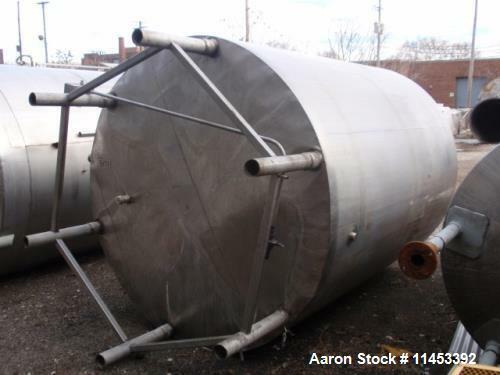 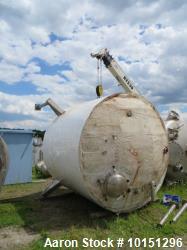 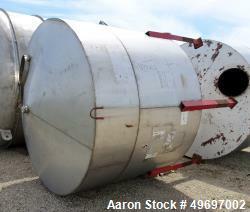 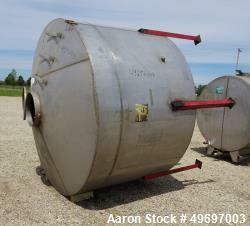 Used- Tank, Approximate 3500 Gallon, 304 Stainless Steel, Vertical. 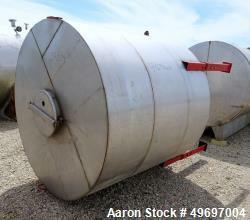 Approximate 93" diameter x 120" straight side, dish top, flat bottom. 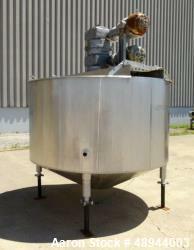 Bridge mounted right angle agitator with side wall scrapers driven by a 10 hp motor with gear reducer. 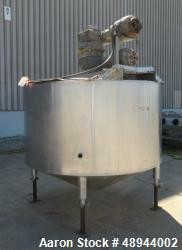 Top manway with miscellaneous openings, 3" side bottom outlet. 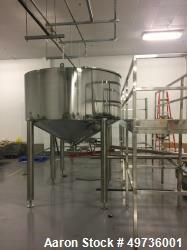 Mounts on 6 legs.